The eddyNCDT 3001 is a cost-effective eddy current sensor with housing that has to date only been reserved for inductive sensors and proximity sensors. 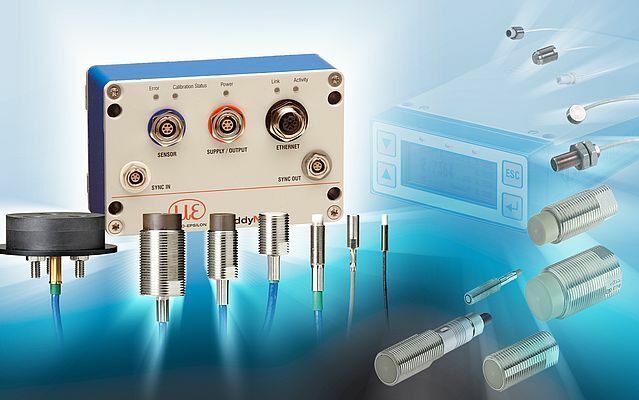 This compact sensor comes with integrated electronics including temperature compensation, offering an excellent price/performance ratio, as well as easy operation. The high measurement accuracy and linearity as well as the high frequency response rate of 5 kHz are outstanding characteristics compared to other sensors in the same price class. The sensors are factory-calibrated for ferromagnetic and non-ferromagnetic materials in the measuring range of 4 mm. The sensors are protected to IP67 and are therefore universally applicable in automation, machine building and machine design. As the sensors are easy to use and cost-effective, they are particularly suitable for standard production in OEM applications. The new DT3001series opens up new application fields for the Micro-Epsilon product range based on the eddy current principle.